As some may already know, Mila Kerr is my alter ego that writes in the F/F genre. No spanking, no DD…just romance involving the lovely ladies. I created Mila to make it very clear what genre I was writing in, and I love writing as Mila Kerr. A little too much. I’ve come to the conclusion that Alta is submissive and Mila is Dominant. At least lately. Every time I try to write an Alta Hensley story, Mila steps in and demands to be heard. Mila wants to write the F/F and Alta needs to step aside. Do I sound crazy yet? Ha ha. As an author, I think it’s hard to keep other ideas for other stories at bay while you are trying to complete your current WIP, but when you have a pesky alter ego, the challenge is intensified. But I have found an incredible perk of writing in two genres as well…I can use an idea twice. I really enjoy writing F/F. I really like the voice I’ve created as Mila Kerr and the stories I get to tell. 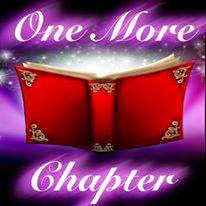 It hasn’t been easy starting over as an essentially new author, but I wouldn’t change a thing. I just hope submissive Alta still has a voice, too. If you had the chance to step back in time, would you? What if you could live in a community built around the morals of yesterday? Rylie James isn’t happy in today’s world. She longs for a time when life was simpler. When people could work off their land and be part of a true, small town community. Trying to bring back history, Rylie has spent years building a new society that is a replica of an old 1800’s town. Before making the big move to the historical utopia of Aspen Meadows, Rylie’s world is turned upside down by the free spirited Luna Forester. Now she questions if she is trying to build happiness, when she may be staring directly into it. Luna Forester’s entire life is about to change with one single proposition: move to Aspen Meadows and create a new future. 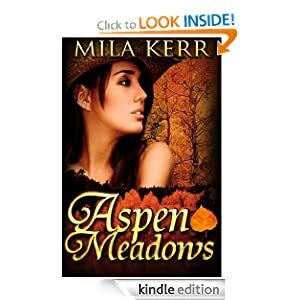 Moving to Aspen Meadows is her chance to start over. Start a new life, find happiness…and possibly find love. But can she deal with the stubborn, overbearing, yet completely seductive, Rylie James?